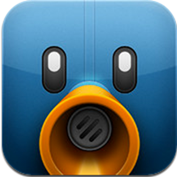 Note: You MUST upgrade to Tweetbot 2.7.2 or later by March 5th, 2013. All previous versions will stop working due to Twitter API changes. Short story: we need the update to keep the app working after March 5.